Xiaomi has rolled out the Stable MIUI 10.2.2.0 Android Pie version for POCO F1. Today morning I have just updated my POCO F1 to MIUI 10.2.2.0 version and I am pretty much happy with the performance and also excited to check the 960fps slow-motion recording. 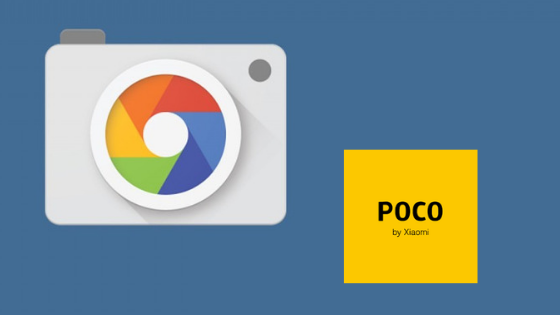 But beyond this Xiaomi Camera if you want to try more in-camera segment then you need to install Google Camera on your Poco F1. If you already have Google Camera on your Poco F1 and updated to MIUI 10.2.2.0 version then you need to update the Google Camera APK. As officially Google Camera is not supported for Poco F1 that’s why you need the ported Google Camera APK file for your Poco F1. And the latest version Google Camera for Poco F1 is 6.1.021.220943556. This latest version of Google Camera for Poco F1 MIUI 10.2.2.0 has some bugs but captures great shots. The UI is changed, you will get manual control over shutter speed and focal length to adjust on camera main screen. Warning: Don’t try to play with manual control in shutter speed, ISO and focal length. I would suggest you keep these in auto as sometimes changing these parameters may hang your camera and even Xiaomi default camera will not on that time. You have to restart your phone, and these type of camera hang may damage your Phone’s camera hardware. You will see slow-mo in this latest Google Camera App for Xiaomi POCO F1 MIUI 10.2.2.0 stable version but it flickers and it very poor. The photo sphears also very slow. Except for these cons, Google Camera is perfect to captures great daylight and night photography. If you love to capture photos on your Poco F1 then you should have this latest version of GCam on your device. Once you have installed Google Camera on your phone you need to configure your Google Camera setting through this guide as per developer recommendation. This is totally optional. To install Google Camera on your Poco F1 you don’t need to unlock bootloader or root the device to install Camera2API. As by default it has Camera2API enabled, you just need to download the Google Camera APK file and install.